70, of Tempe, AZ passed away on May 18, 2010. Moved to the valley from Minnesota in 1951. Loving Mother, Grandmother, Great-Grandmother, Sister, and Friend. Preceded by parents Les & Addie Peterson, son John Brooks, grandson Jacob lMiller. Children: Jacque Jewett, Bob Brooks and Denise Miller. Grandchildren: Annie, Amber, and Cody Brooks. Sisters: Patty Adler and Marilyn Mason. Great, granddaughter Hailey Lichaczewski. Funeral Service 4:00pm, Friday, May 21, 2010, Abiding Savior Church, 515 E. Continental Dr. Tempe 85281. Please have flowers delivered to 909 W. Orion St. Tempe, AZ 85283. They will be taken to the Church. 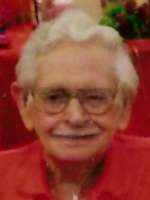 Offer Condolence for the family of BROOKS, JUDY E.
87, of Phoenix passed away at home on 5-5-2010 surrounded by his loving wife of 68 years, Mary Louise and his children, grandchildren and great grandchildren. Juan was born in San Antonio TX on 9-27-1922. Juan married Mary Louise Morales on 11-26-1942 in El Paso TX. He served in the 1st Cavalry Div during WWII as a Reconnaissance Scout. He headed the troops to get information on location, strength and type of unit of the enemy. The “Old Soldier” was proud of his service in the US Army under Gen. Gouglas MacArthur. Battles and campaigns included New Guinea, Admiralty Islands and Leyte in the Philippine Islands where he was wounded in action on 10-22-1944. Juan ws awarded the Purple Heart, Good Conduct Ribbon, Asiatic Pacific Theater Ribbon, American Defense Service Ribbon and Combat Infantry Badge. lHe was the Golden Gloves Lightweight Champion of the 1st Cavalry, El Paso District. Juan and his wife Mary founded Precision Auto Parts in 1954. Today, it is a family run Auto lRecycling business in Phx. Juan is survived by his wife Mary Louise; Children Rebecca D (Jim) Ponte, Robert Michael (Therese)de la Torre, Yvonne de la Torre (Miguel) Montiel, John Manuel (Olivia) de la Torre II, Estrellita Louise (Carol) de la Torre, grandchildren: James (Liberty) Ponte, Yvette (Dave) Ponte, Dolores de la Torre (Albert) Urbieta, Therese de la Torre, Gloria de la Torre, Luisa de la Torre (Vicente) Mejia, R. Michael de la Torre; Aida Montiel (Mathew) Jaramilla, Maritza Montiel (Camilo) Tafur; Ariana de la Torre (Nick) Vieron, Johnny de la Torre. great grandchildren: Tristan & Keegan Ponte; Albert, Lucero, Sammy and Marco Urbieta; Julian Mejia; Lea Jaramilla. He is also survived by his brother, Miguel A. de la Torre and nieces and nephews, Adela, Robert, Rosario, Maria, Rudy and Roberta. He was preceded in death by his brother Robert de la Torre. “The Chamos” favorite quotes were, “Old Soldiers never die; they just fade away”. Also, instead of Goodbye, “Hasta Luego”. Until we meet again, we will miss our Old Soldier. The family requests that in lieu of flowers tax exempt donations be made to OperationFreedomBird.com an organization that helps veterans heal. Visitation will be held 5:00-8:00pm, with a Rosary at 7:00pm, Wed., May 26, at Whitney & Murphy Funeral Home, 4800 E. Indian School Rd. 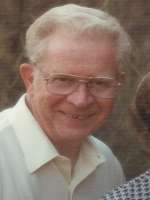 Funeral Mass will be hald at 9:00am, Sat., June 5, at St. Mary’s Basilica, 231 N. 3rd St., Phx. Interment will follow at St. Francis Cemetery with Military Honors. 88, of Phoenix, passed away at Home on May 20, 2010, surrounded by her children, grandchildren and great grandchildren and sisters. Born on 12-31-1921 in Salomonsville, AZ. Mary was the oldest daughter of Edith Chavarria Morales and Martin C. Morales. 3rd generation AZ native and pioneer, Mary’s family roots extended to Arizona’s terrirotial era. 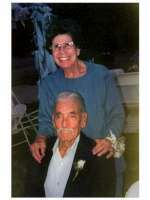 Mary’s passing follows the death of her husband of 68 years, Juan M. de la Torre on 5-5-2010. They were married on 11-26-1942 in El Paso, TX. Together they founded Precision Auto Parts in l954, a family operated Auto Recycling business in Phx. Mary was a businesswoman who was active in community activities. Mary taught her children the family business and was always actively involved in her children’s education and school events. Mary was a loving and nurturing mother who encouraged hard work, social justice education and the love of learning. She reminded her children to “Hitch your wagon to a star”. Mary was affectionarely known as” “Grandma Mom”, “Nani”, “Mama Grande” and “Mom”. Mary was an extraordinary mother, wife, sister, sister-in-law, aunt, grandmother, great grandmother and friend. In her teen years, she ws quite the athlete, enjoying tennis, volleyball, softball and basketball; in her later years she was a devoted fan of Steve Nash and the Phoenix Suns. She ws a petite but mighty woman; she touched the hearts of all who knew her and will be deeply missed. Mary is preceded in death by her parents, Edith and Martin C. Morales, sister Lydia Rodriguez and her husband, Juan M. de laTorre. Mary is survived by her sisters Jessie M. Parra, Inez Alvarez, Edith (Gilbert) Benavidez and brother-in-law, Oswald Rodriguez. 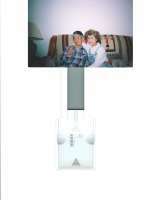 Children: Rebecca D. (Jim) Ponte, Robert Manuel (Olivia) de la Torre II, Estrellita Louise (Carol) de la Torre; grandchildren: James (Liberty) Ponte, Yvette (Dave) Ponte, Dolores de la Torre(Albert) Urbieta, Theresa de la Torre, Gloria de la Torre, Luisa de la Torre (Vicente) Mejia, R. Michael de la Torre; AIda Monteil (Matthew) Jaramilla, Maritza Monteil (Camilo) Tafur; Ariana de la Torre (Nick) Vieron, Johnny de la Torre. Great grandchildren: Tristan & Keegan Ponte; Albert, Lucero, Sammy and Marco Urbieta; Lea Jaramilla; and Julian Mejia. Numerous cousins and nieces and nephews. Family expresses special thanks to Hospice of the Valley/’;Central Phoenix Team B. Visitation will be held from 5:00-8:00pm, with a Rosary at 7:00pm, Wed., May 26, at Whitney & Murphy Funeral Home, 4800 E. Indian School Rd. Funeral Mass will be at 9:00am, Sat., June 5, at St. Mary’s Basilica, 231 N. 3rd St. Interment will follow at St. Francis Cemetery with Military Honors. 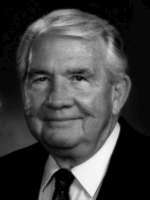 age 81 passed away peacefully and went to be with the Lord on May 20, 2010. Born on October 12, 1928, in Bessemer, Michigan, to her immigrant parents Mary and John Babich, who immigrated from Yugoslavia. She was the youngest of four sisters and one brother. As a child, she loved sports, music and books, the last two of which became lifelong interests. She worked as a legal secretary in Milwaukee, Idaho and California before moving to Arizona in 1957. She married Alan Ted Clawson in 1954, who preceded her in death in 1987. She was a caring, loving, mother, wife and Christian, who devoted much of her life to her church after the death of her husband. She loved classical and religious music, and always offered a prayer to her family and friends for whatever was their need at the time. 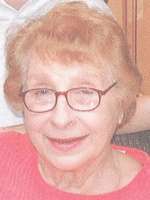 She was a member of St. Francis Xavier Catholic Church for close to 40 years, and was active in St. Vincent de Paul and Eucharistic Ministry to shut ins over the years. She is preceded in death by her sister Eve Ellis and brother Johnny Babich, and survived by her sisters Julie Anhen and Mary Marzack, her son Aric Clawson, his wife Carolyn, three wonderful grandchildren, and numerous nieces and nephews. Visitation will be held on Tuesday, May 25, 2010 at 8:30 A.M., following with a Rosary at 9:30 A.M. and Funeral Mass at 10:00 A.M., at St. Francis Xavier Church, 4715 N. Central Ave., Phoenix. Funeral arrangements by Whitney & Murphy Funeral Home. 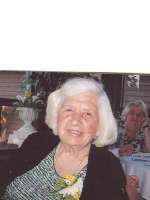 Our beloved mother and grandmother, Mary Fotini Dekavallas, age 90, peacefully passed away on Thursday, May 20, 2010. She was born in Detroit, Michigan and was raised on the island of Lemnos in Greece. In 1958, Mary and her family moved to Phoenix, AZ, where she worked at Banner Good Samaritan Hospital for 23 years. Her greatest joys in life involved serving her family and the Greek Orthodox Church. Mary loved cooking, baking and gardening. She is survived by her son Gus (Connie) Dekavallas of Mesa, AZ, 15 grandchildren, 23 great-grandchildren, son-in-law Frank Fitzgerald, daughter-in-law Maria Dekavallas and many friends. She was preceded in death by her husband Emmanuel, son George and daughter Catherine Fitzgerald. Visitation will be held from 6:00-8:00 pm, with a Trisagion at 6:00 pm, Sunday, May 23, 2010 at Holy Trinity Greek Orthodox Cathedral, 1973 East Maryland, Phoenix, AZ. Funeral Mass will be held at Holy Trinity Greek Orthodox Cathedral on Monday, May 24, at 10:00 am. Mary touched the hearts of all who knew her and will be deeply missed. We love you Yia Yia! In lieu of flowers, donations may made to Holy Trinity Greek Orthodox Cathedral or Hospice of the Valley, 1510 E. Flower St. Phx., AZ 85014.